No decisions have yet been made about kindergarten and primary class sizes in Ontario as the government reviews the issue, the education minister said Thursday as teachers' groups raised concerns about the province considering removing current caps. 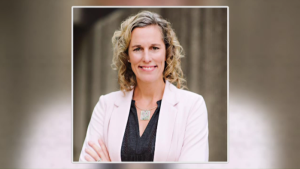 Lisa Thompson said she looks forward to the education sector sharing their perspectives so that the province "can ensure tax dollars have the greatest impact in the classroom." 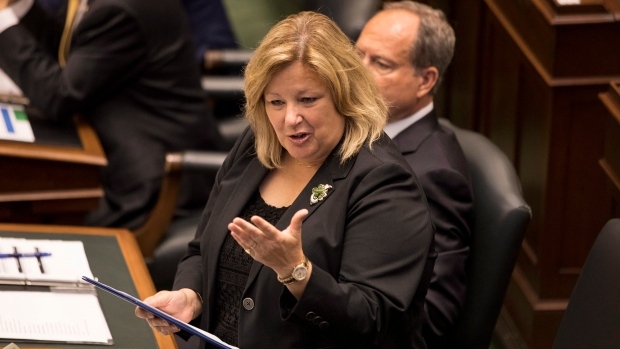 "Going back to the election in June, Ontario chose to support our Progressive Conservative government because collectively as a voting body, Ontario said, 'We need to get our fiscal house in order,"' Thompson said in an interview. "Through the fall we heard that there was interest and perhaps a need to review the regulation that addresses class sizes." Thompson said that interest arose during consultations about school board funding, but she did not say who raised those concerns about class sizes. Currently, the kindergarten class size cap is 29 students, and the average of class sizes across any board can't be more than 26. Sam Hammond, the president of the Elementary Teachers' Federation of Ontario, said government officials told him in a meeting that they need to work toward balancing the budget and some decisions will affect public education. "Class size caps have been extremely useful and helpful and certainly for our primary teachers in enabling us to get to those students and make sure we can give all students the time they require," she said. 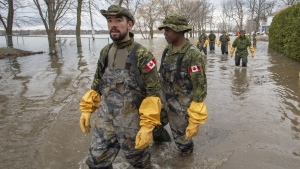 "When the government starts consultations off with talking about, 'do we need the caps or can we increase the numbers,' that's obviously going to give us cause for concern."